Blizzcon 2015 pet, Murloc as Illidan with Warglaive(s) of Azzinoth. Finally we will get illidan murloc, you are not prepared! I'm loving that 3d image. I'm in love, he's adorable! This description made my day. Can i still get it if i cant get in the blizzcon? And with that my army of murlocs grows slightly larger. I am absolutely buying the virtual ticket for $40 and not watch any of it just for the pet. Damn it, now I have to buy a virtual ticket I'm not going to use. Oh boy.. 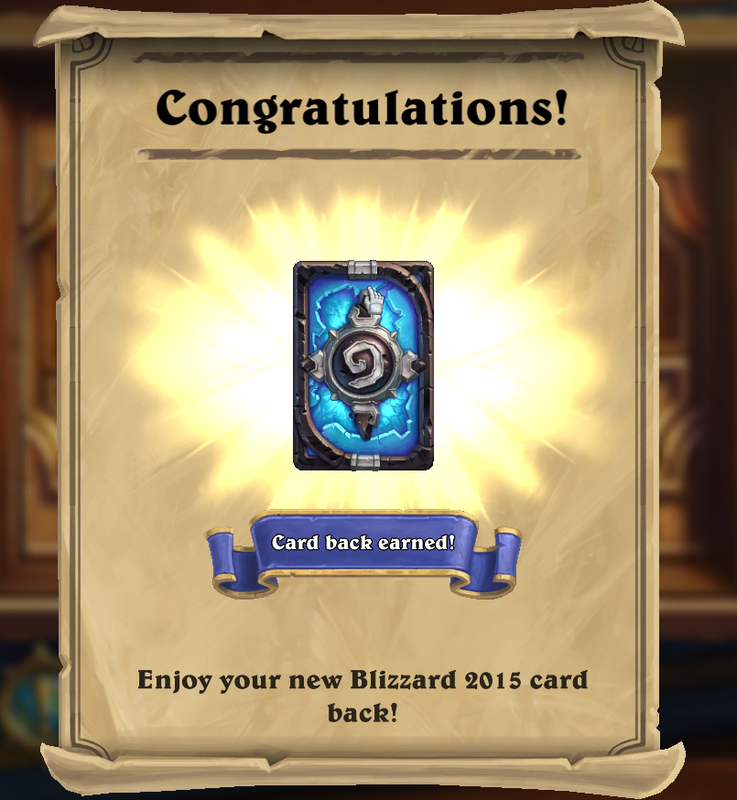 It's gonna be hard to top this one Blizzard! I'd like one of those Murkfurion, though. The flipper of fate...must be forced! Pet has no eyes. . . has the battle-pet ability "Eye Beam." Classic! Here is their avenger. Feel the hatred of 10,000 mrglglrgls! I can't wait to get this guy! Now to wait on Murkfurion. By the time he comes it will be worth every penny spent. And now a murloc have my main hand warglaive i've been farming for years. Guess u shouldnt underestimate the power of Aaughibrgubugrguburgle! He is wearing Warrrrglrggllrlglrrrgrls ! The model via View 3D is currently what was attached to the since-renamed NPC in the Warlords beta. Murkidan is pretty cool, his skin goes between purple and black randomly. can't you get this in collectors editon for legion. Since this is a BlizzCon 2015 Exclusive, are you able to cage it after it's learned to sell it? If for some reason you are unable to attend Blizzcon but still want the pet, you can purchase the Virtual Ticket for $39.99 USD and get this along with other in-game items. I bought the virtual ticket a month ago but i still didn't get it.. Am I going to get after November 6-7 or should i sign up somewhere for get the pet? I reallllly want to see what the dance looks like if you use Magischer Haustierspiegel on him. Just got the notification in game a little while ago. Achievement popped up before he even showed up in my bag. Blizzard, you realise you will never ever hear the end of it until you put a Murkfurion pet in game now, right? 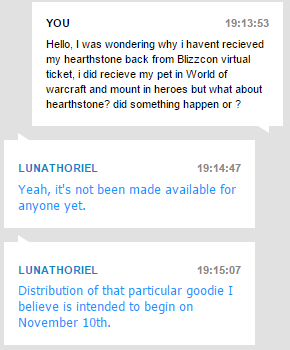 If you purchased the blizzcon virtual ticket or visited blizzcon (and entered the redemption code), the pet should be found in your inventory. 1. Your inventory is full. Solution: Clean up your inventory, completely log out of your Battle.net account, then login again. Solution: Cage or release some of your battle pets. Make sure you have less than 1000 battle pets, completely log out of your Battle.net account, then login again. All this information i have obtained by talking to Game Master Lunathoriel. If you don't have it in your inventory on characters on your main realm, check your characters on other realms too. My Murkidan was on a level 1 toon on a realm i've never really even played on. Brought Murkidan with me in to the Black Temple in the hopes that when I confronted and killed Illidan, Murkidan would do something different, have some sort of emote, nibble on Illidan's shin bone, or anything. Unfortunately nothing happened at all. Sigh. Blizz, you missed out on an opportunity to do something epic and funny. Even a comment from Illidan about poor Murkidan would have been cool. Oh well. Still one of my favourite pets and so cool looking.